Wild horse foal on scale at slaughter auction. Her live weight is 170 pounds. It's tempting to think the headlines are just Internet hoopla. Is the West's Wild Horse Crisis So Bad Only Euthanasia Can Fix It? Isn't it lucky you're smart enough to just roll your eyes and feel a twinge of pity (or superiority) because animal nuts are allowing their bleeding hearts to be broken by yet another hoax? Fact: The Bureau of Land Management's advisory board voted 7-1 to dispose of thousands of wild horses and burros which have been rounded up, then warehoused in pens around the U.S. But they can't do that, can they? Don't they need Congressional approval? Fact: They already have it. 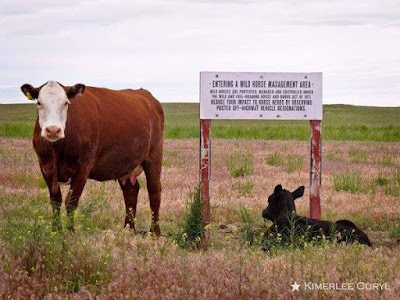 2c The Secretary [of the Interior] shall cause additional excess* wild free roaming horses and burros for which an adoption demand by qualified individuals does not exist to be destroyed in the most humane and cost efficient manner possible." I added the asterisk because of the creative writing used in defining "excess." Part (1) of Section 2 is a true Catch 22. If a wild horse is rounded up, she becomes "excess." (1) which have been removed from an area by the Secretary pursuant to application law or, (2) which must be removed from an area in order to preserve and maintain a thriving natural ecological balance and multiple-use relationship in that area." 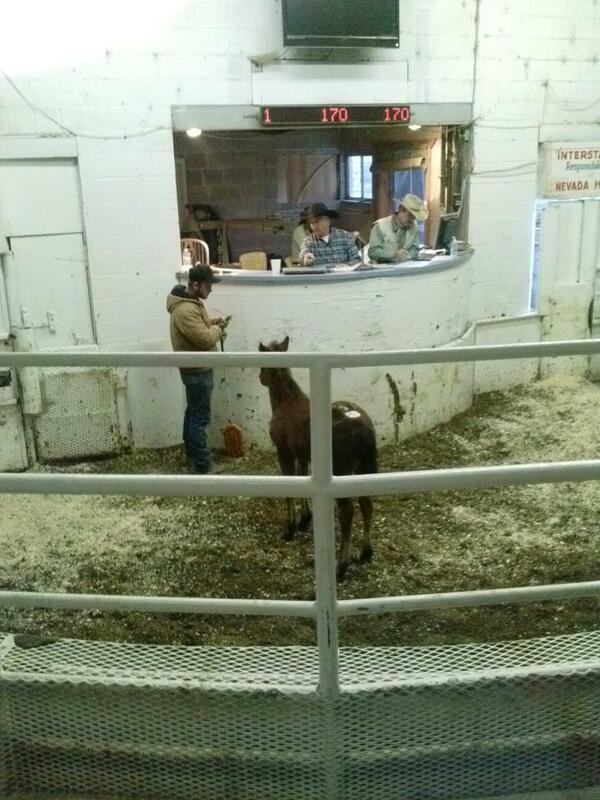 Another section says wild horses can be sold "without limitation." That's a shortcut to slaughter. The wild mare Ghost Dancer came to me that way, so I've read her BLM paperwork. It says I'm discouraged from reselling her for commercial (meat) purposes, but I am not forbidden to do so. "excess animals" means wild free-roaming horses or burros (1) which have been removed from an area by the Secretary pursuant to application law or, (2) which must be removed from an area in order to preserve and maintain a thriving natural ecological balance and multiple-use relationship in that area." September 9, 2016: Bureau of Land Management advisory board meets in Elko, Nevada, votes to kill the 44,000+ American wild horses confined in government corrals. If you're interested in decisions being made with your money for your wild horses, Elko, isn't a convenient venue. Not to worry, says BLM. Meetings are (sorta) streamed online and the Wild Horse Advisory board includes folks to speak for all "...from advocacy groups, wild horse and burro research institutions, veterinarians, natural resource organizations, humane advocacy groups, wildlife associations, and livestock organizations." I'd assume by his email address that "cowdoc75" represents veterinary or livestock interests, but no. He's the Natural Resources expert. This board is clearly skewed toward cash cows and what they can do for ranchers, not what they can do to the environment. For that, they blame wild horses. The vote to kill mustangs was 7-1. Ginger Kathrens, Humane representative, was the lone vote for life. These horses belong to all Americans and this vote doesn't represent them. My letter to the Board and BLM follows. Please use the email addresses to convey your opinions. BLM was once so valuable to me as a writer that I included staffers in dedications to my PHANTOM STALLION book series. I even named a main character after BLM's Bryan Fuell of Elko because he was so helpful. BLM employees used to meet advocates at Bruno's for coffee before round-ups. We often disagreed, but we asked and answered questions and listened to each other. Now, advocates are met in the same Gerlach parking lot by armed rangers. And, when I asked questions for my non-fiction book on wild horses, BLM stonewalled for over 13 months, until my publisher finally sent the book to press without updated comments from the Interior Department. After 20 years of observing BLM, I thought I was beyond shock over wild horse mismanagement. I was wrong. The advisory board's choice of wild horse slaughter, based on willful ignorance of science and finances, sucker-punched me. 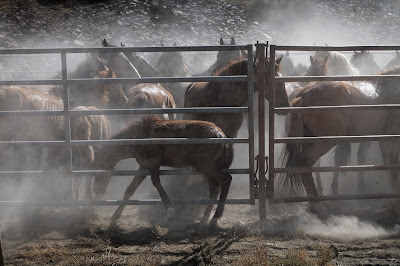 BLM has wasted millions of dollars on rounding up and warehousing wild horses despite the availability of cheap on-range solutions to man-made problems. In fact, the Humane Society of the United States' analysis of BLM's budget documents indicated that the more money Congress appropriated to BLM's "reform," the more expensive the wild horse programs became. Only one thing changes from year to year: money going to independent contractors. BLM’s job is to protect and manage wild horses and the range, but BLM's Don Glen and Dean Bolstad made it clear at 2009 Wild Horse Advisory Board meetings that another priority was "keeping our contractors happy." And have they ever, with ever-increasing amounts of tax dollars. As an author for young readers, I know many students use the Interior Department's websites to search for factual information. The dissemination of '70s era science skewed toward merchandisers of Western resources amounts to malpractice of the sleaziest kind -- lying to kids for political gain. Board members, I urge you to retract this emotional response to BLM's cry for more money for further mismanagement. Instead, listen to non-vested scientists who've proven the environment's been turned upside down by man's replacement of native species (including equines; check the fossil record) with livestock. Listen to those with no financial stake in destroying the range. Years from now, will you have helped save the last wild places? Or will every book and Google search list you as an accomplice to the death of West?